Philips is back with a bang where LCD monitors are concerned, having announced the all new 326M6FJSB. This is a 32-inch Philips QHD LCD display that boasts of the immersive Ambiglow feature. It is something that we have seen in the past in older TVs from Philips, especially back when LCD TVs were starting to catch on, and now that this technology has trickled down to the monitor market, we are not complaining. Sporting immersive lighting effects, Ultra Wide-Color Technology, a SmartImage Game mode, and flicker-free technology, the 326M6FJSB can certainly be considered to be the perfect monitor regardless of whether it is used for home entertainment or productivity purposes. 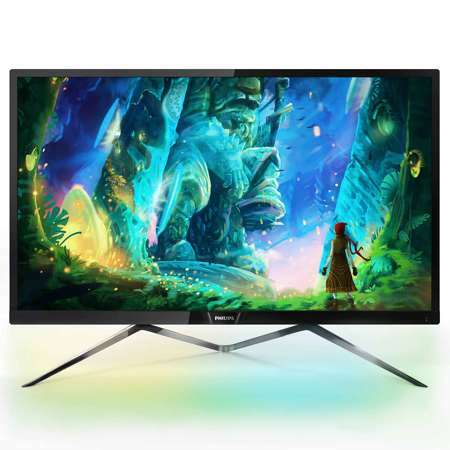 Expect the Philips 326M6FJSB 32” QHD monitor to arrive with an asking price of $379.99, although you might be able to obtain a better or discounted price with select retailers. The 326M6FJSB’s Philips Ambiglow technology will certainly introduce a whole new dimension when it comes to the viewing experience. This is one piece of innovative technology which “enlarges” the screen, and it does so by delivering a halo of light right around its edges. Even monitors are powered by processors these days, and the 326M6FJSB is no different since it can analyze the incoming image content, while making non-stop adaptations to the color and brightness of the emitted light in order to match the image. Users are able to adjust the ambiance according to their preferences, and it does not matter whether you are going to use it to watch movies, sports or play games, the Philips Ambiglow will be more than up to the task to deliver a unique and immersive viewing experience. Not only that, support for Philips’ Ultra Wide-Color technology is also part of the deal, offering a wider spectrum of colors that delivers a better looking picture, with your eyes seeing more natural-looking greens, vivid reds and deeper blues. Seems to be one of the more ideal monitors in the market if you’re on the lookout for one!